ÖGA ÖSTRA is an alliteration with a mysterious ring to it, at least to those not proficient in Scandinavian languages. Translated literally, the moniker boils down to a not-so-mystical combination of two elements: ÖGA is a well-known eyewear brand under the umbrella of traditional company Morel, while Östra is the new collection that was developed in the French Jura region from a blend of extravagant materials. In the true meaning of the word, Östra means “East” in Swedish. Inspired by the rising sun, ÖGA creates a playful blend of wood, rubber and metal. Among these ingredients, wood is the central focus in order to lend a sense of warmth to all Östra models. 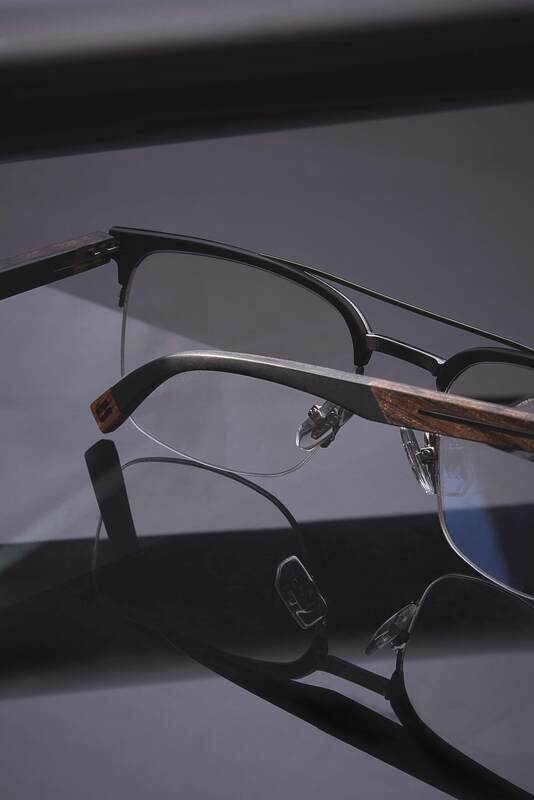 And to ensure that the wood is able to adapt to the anatomy of individual wearers, the insides and tips of the temples are lined with injected rubber for comfortable wear. Added flex comes from a stainless steel insert within the wooden temples. The contrasting mix of materials is supplemented by a variety of rare woods, sourced by ÖGA from sustainable forestry. The brand uses Santos and Indian Rosewood for the brown hues, Wenge for the dark brown tones, and Macassar Ebony for the black colors. 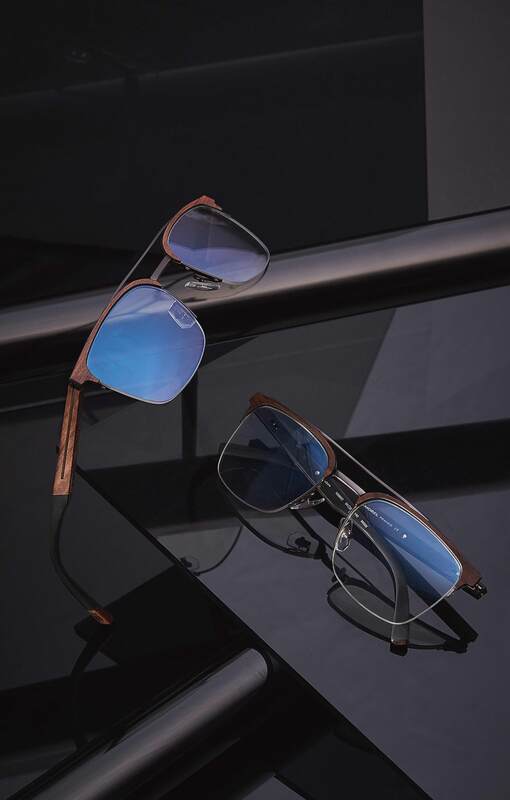 The Östra collection’s unique diversity goes far beyond exotic woods, as ÖGA implements two fundamentally different concepts: All Östra 1 models connect wooden temples to sleek titanium frames, while the semi-frameless styles of the Östra 2 concept feature frame fronts also composed of elegant wood components. On the backside of the front segments, rubber once again ensures comfortable wear in a model available in sizes M to XL, two of which have keyhole bridges with clean lines. Wearable, thin and comfortable, the Östra collection by ÖGA will seduce all those who want wooden frames without sacrificing the comfort or design of their glasses.